GIGA GRANADA HILLS: Who's Going To Run Bo Diddley High? 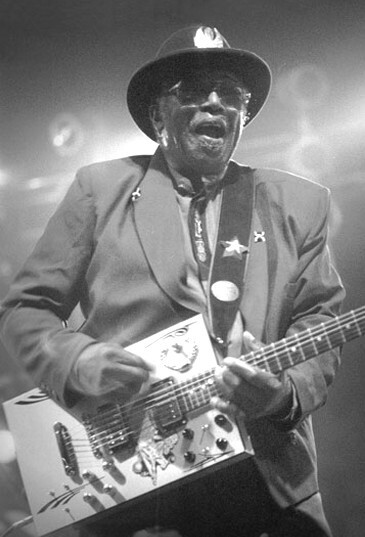 Who's Going To Run Bo Diddley High? Tomorrow afternoon, Granada Hills South Neighborhood Council will host an informational meeting about the operation of Valley Region High School #4. Applicants to run the school have been asked to make brief presentations about their plans to run the school site. The meeting is Saturday, October 30 from 2-4:30pm at Granada Pavilion, 11128 Balboa Boulevard (in the Trader Joe's Center). My advice: whichever group is willing to acknowledge that Bo Diddley High, is a much cooler name than Valley Region High School No. 4 should run the school. Naming a school in honor of one of Granada Hills' most influential residents and supporting a commitment to arts in education, well, it just makes sense. Related Posts: What Should The New High School Be Named? I still think John W. Finn would be a good choice, but that's me. Thanks for the post, Linda. I'm thinking James Cagney HS, after another famous GH resident. Brad, I'm not sure I go along with your placement of football alongside study of government and civics in importance. It's a f*cking game. Holy jeez, CAGNEY lived here? Cagney was part of the Valleywood crowd, like Lucy and Desi in Northridge. I heard Saturday from one of the attendees at the fourm that CD-12 has asked the school be named for Jon Lauritzen, the former school board member who died in 2007.